The Thunderbolt is distinguished by the unique noise produced by its tail during a flight. 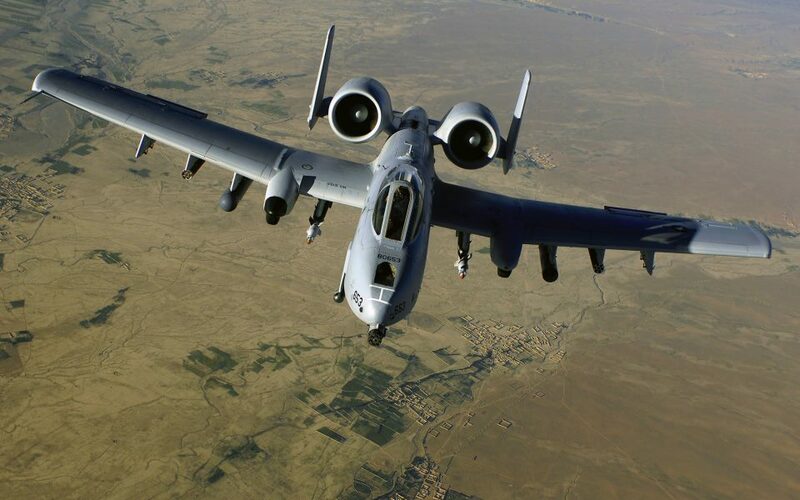 The 30mm GAU-8 AVENGER gatling gun mounted on the A-10’s nose is the most deadly. It is till date the heaviest and largest gatling gun ever mounted on an aircraft. It is solely designed to provide CAS to ground units. With 11 hardpoints which include 6 AGM-65 Maverick Air-Ground missiles makes the A-10 a nightmare for Tanks and other ground units. aileron is also split, making it a deceleron. The aircraft is so designed that it can fly with one engine, one tail, one elevator, and half of one wing missing. The armour provided in the aircraft is around 550kg which is quite a lot for a an aircraft armour. Also to make the ground strike precise it is equipped with Laser designator, Lockheed martin Targeting pod Sniper XR. Posted on March 1, 2013, in Aviation. Bookmark the permalink. 1 Comment.